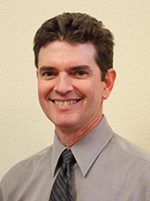 Dr. Kevin Martin was born and raised in Sonoma. After receiving his doctorate from U.C. Berkeley, he felt that he would love to return to his hometown to bring the best in eye care to his community. His specialties include laser vision correction co-management and consultation, contact lenses, eye disease management and senior eye care. He has completed U.C. Berkeley's Advanced Glaucoma Care symposium, holds a California State Therapeutic Pharmaceutical license (the highest level) and attends many continuing education classes throughout the year. Dr. Martin is an avid runner and enjoys spending time with his wife (Dr. Laura). After receiving her doctorate from U.C. Berkeley Dr. Laura Martin worked with a renowned eye surgeon group where she provided pre and post surgical care to patients. After several years she joined her husband (Dr.Kevin) in practice in Sonoma. 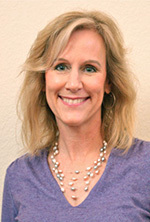 Her professional interests include laser vision correction, contact lenses and pediatric optometry. As several members of her family have been afflicted with macular degeneration, she has a strong personal and professional interest in proactive aging eye disease prevention. Dr. Martin has completed U.C. Berkeley's Advanced Glaucoma Management care symposium and attends many other continuing education seminars throughout each year. She also holds a Therapeutic Pharmaceutical license (highest level granted by the state of California). In her spare time she enjoys hiking, cycling, movies and spending time with her husband (Dr. Kevin) and cat, Fred. I have been at Sonoma Optometry Center for 16 years starting off as a receptionist then working my way up to Senior Lab Technician. After taking time off to be with my baby, it is great to be back fabricating lenses and serving patients. Because I have worked in most positions, I now fill in wherever I am needed including interpreting for the Hispanic community. 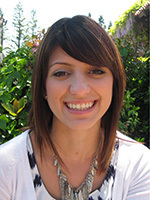 I enjoy the friendships that I have made as a team member of Sonoma Optometry Center. What can I say, I love my job! One of my main jobs is to assist the doctors with eye exams, performing tests with our high tech medical equipment such as digital retinal photography. I also enjoy helping patients select the most flattering eyewear from our large collection of frames. It is fun to see a patient's excitement when they get a new pair of glasses that updates and improves how they look and see! Laura has a Bachelor's degree in Music-vocal performance. Laura is our optical specialist. Her interest in the optical field stems from having worn glasses since childhood. Laura loves to learn everything about the latest frame styles and new technical advances is lens design. Her friendly, outgoing personality and commitment to excellent customer service makes her a great asset to our office. I was born and raised in Sonoma and love the community! I'm excited to be part of the Sonoma Optometry Center team. The office values of patience, kindness and consideration are the same as my own. I am very much orientated towards giving great customer service and look forward to meeting you!